As a local, family-owned company – Iron City takes pride in its environmental responsibility to its community and surrounding service areas. 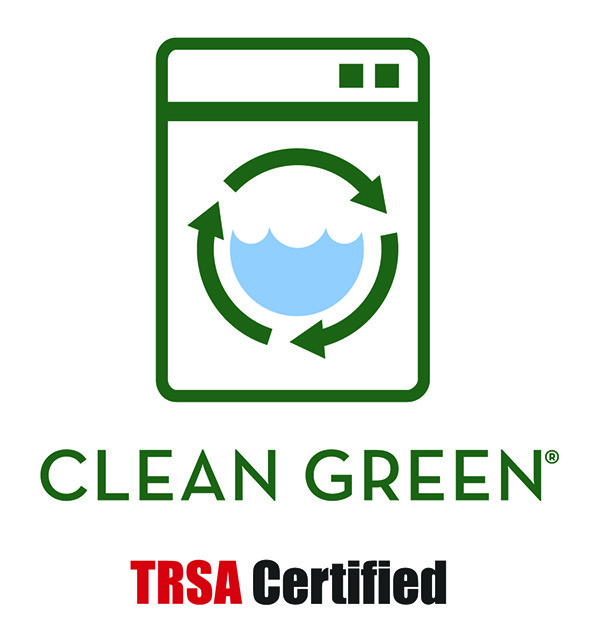 Iron City is a ‘Clean Green Certified’ reusable textile industry according to the Textile Rental Services Association (TRSA). This certification demonstrates responsible leadership in sustainability and conservation to protect the environment. This program acknowledges a textile service company’s continuing commitment to improving efficiencies in water and energy conservation and adoption of best management practices for reusing, reclaiming and recycling resources. Clean Green certified textile services operations meet quality standards for effectiveness in conserving resources, controlling sewer discharges and otherwise minimizing environmental impact. A business that uses uniforms, linens, floor mats and other reusable textiles laundered by a Clean Green facility can point to the certification as evidence that these were washed, dried and finished with techniques selected to maximize sustainability. Industrial-scale laundries are most likely to meet Clean Green standards because they deploy high-capacity washing, drying and wrinkle-removal equipment, so their processes are far more efficient than those of home washing machines or smaller commercial laundries. How do Laundries Earn This Certification? A laundry facility becomes Clean Green certified by meeting water and energy conservation standards and deploying best management practices (BMPs) described above. Operations that cannot meet both conservation standards may offset this by implementing more BMPs. TRSA inspects laundry facilities seeking the certification and approves documentation of their water and energy use and BMP deployment through production reports they submit to auditors during the inspections. Laundries create these reports from their records on detergent use, what items they wash from each customers and the number of loads they run, among other sources. They are accredited for three years at a time.